For the next few weeks, we will be plagued with knocks on the door as candidates try to persuade us to give them our votes. They will dazzle us with their mandates and promises for the future. One of the key issues women across the country will be asking about is what the candidate, and his or her party, are planning to do about the crippling costs of childcare in this country. To get the politicians to actually implement change in this area, women, and men, need to vote for candidates who are committed to investing in affordable, quality childcare. It is the continued lack of affordable childcare that is preventing so many Irish women from going back to work. Currently, the costs of childcare in Ireland remain amongst the highest in the EU. Paid childcare for infants under the age of three in Ireland is extremely expensive and in many cases prohibitively so. For a typical dual-earner family seeking full day care for two pre-school children, the cost amounts to 29pc of the family's net income. This is compared to an OECD average of 13pc. High quality, affordable childcare would promote women staying in employment which is a key issue in terms of the gender wage gap. Speaking of Ireland's track record in childcare, Orla O'Connor, director of the National Women's Council of Ireland (NWCI), says: "Currently, Ireland is spending between 0.2-0.4pc of GDP, which is significantly below the EU average of 0.7pc and the Unicef target of 1pc of GDP. Delivery of this essential infrastructure will require clear commitment to increase and ring-fence spending over the next five years towards that 1pc target." While the 2016 Budget promises of an extension to the Early Childhood Care and Education Scheme and two weeks of paid leave to fathers after child birth are welcome, they are very small steps in a long road. As the country gets itself back on its feet and the economy continues to recover, surely now is the time for politicians to take much-needed steps to end the childcare crisis and ensure real career choices for women. Families currently pay a crippling €800-€1,000 per month for a full-time childcare place. If a couple have more than one child, it usually ends up costing the woman to work and she ends up giving up her job to stay at home. Our European counterparts have systems in place to encourage women to go back to work. It seems that women are valued more in other countries. We only have to look at Sweden. The support begins at birth with mandatory maternity leave that protects the woman's job while she stays at home. The Swedish parental leave is flexible, allowing the father to spend time with their newborns too. But the real key to the Swedish success is the public childcare system that is guaranteed to all parents and operates from 6.30am until 6.30pm. This allows the vast majority of Swedish women to work. Imagine that, a government that encourages and facilitates women going back to work! "This election has the potential to be a breakthrough election for women in Ireland," said O'Connor. The gender quota, whether you agree with it or not, has guaranteed that for the first time, voters will have the chance to vote for more women. So where do our parties stand on the issue of childcare and what are they promising us? Fine Gael now says that children between nine months and three years of age will be given subsidised childcare places, which would cut annual childcare costs by €2,000. The party claims this will bridge the gap between the first nine months of the child's life, when it is usually cared for at home, and when it qualifies for free preschool years. Fine Gael also promises to extend paid leave to a combined 34 weeks between each parent in the year following the child's birth. Sinn Féin proposes to cap the cost of childcare at €180 a week per child and to reduce that to €150 over the five-year term of a government. Sinn Féin says it also wants to extend maternity leave to 52 weeks and will increase the amount of state funding given to childcare providers and training schemes for the sector. Labour is now promising that childcare costs would be cut to €2 an hour. 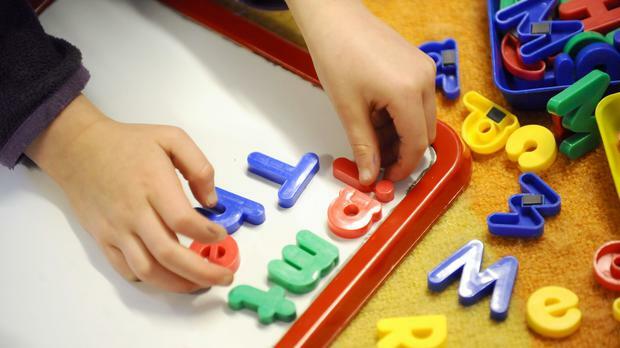 It claims that there will be affordable childcare from next January, with a cap of €4.25 on the hourly rate. Parents would be able to access a state-subsidised service for children aged from nine months to 12 years, for 40 hours a week. Meanwhile, Fianna Fáil proposes expanding paid maternity leave as well as an added year of the Free Pre-school Year Scheme. They want to implement child-friendly tax credits to help families take care of pre-school-aged children, and to introduce measures that improve the quality of Early Childhood Education, ensuring that childcare workers are paid a living wage. Renua plans to introduce an interim tax relief to help parents with the cost of childcare. It also proposes to use a social cohesion fund, paid for by local property tax, to deliver a network of community crèches across the country. Are these all just empty promises? Can they realistically be implemented or are they just quickly drawn-up pledges to entice voters? Can we trust any of the parties' promises when we have been let down over and over again? It is up to us, the voters, to push for change and to lobby our politicians. Once they are voted in, we need to make sure that they do not renege on their promises so that women in this country can be supported and encouraged to go back to work. It's high time Irish women were able to have the choices their European counterparts have enjoyed for years.